Montenegrins take great pleasure in wining and dining. As a visitor, you can eat at a restoran (a formal type of restaurant) or konoba (a tavern, which is more informal, normally with a rustic stone and wood interior). Cuisine varies greatly from one region to another. Along the coast, fresh fish and seafood from the Adriatic predominate, while meat and cheese are more popular inland. Many meals begin with a platter of thinly sliced pršut (smoked ham, similar to Italian prosciutto) and flavoursome ovčji sir (sheep's cheese) or kožji sir (goat's cheese). 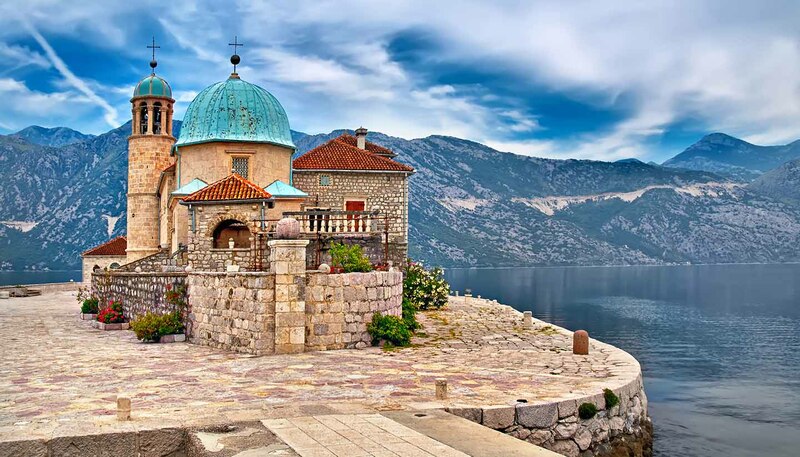 Lake Skadar is known for its excellent fresh šaran (carp) and the River Tara is home to delicious pastrmka (trout). For a quick meal, try a pizzeria – some are surprisingly good, comparable to the best in Italy. Riba na žaru: Barbecued fish, either orada (gilthead bream), brancin (sea bass) or andcipol (mullet). Jagnjece: Roast lamb, usually eaten on special occasions. Ražnjići: Various kebabs – a much-loved fast food dish. Montenegro wine: Look out for Vranac, a delicious red, and Krstac, the white equivalent. Nikšićkopivo: Lager brewed in Nikšić, found in most bars and cafes. It is normal to leave a 10% tip in change for your waiter or waitress if you were satisfied with the service.